The Globe et Cécil is one of Lyon’s most historic hotels. 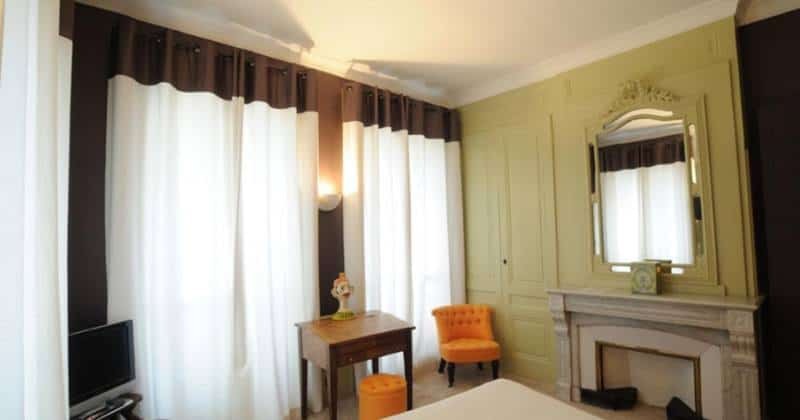 Dating back to 1866, it is located in the heart of the old part of Lyon. Today, the hotel has a thoroughly contemporary atmosphere without relinquishing any of the charm of its traditional features, open fireplaces and unexpected spaciousness. The atmosphere is friendly and intimate, and WIFI is available throughout. The 60 cosy rooms have very unique styles. Some offer a traditional design, others are more modern. The facilities offered are complimentary WIFI, individual climate control, Satellite TV, a phone as well as en-suite bathrooms with complimentary toiletries and hairdryers. Lovers of History will particularly appreciate this private mansion, which over the past four Centuries has witnessed the birth of a literary figure, hosted celebrities in Art and Politics and has established itself as a living heritage in the town of Tournon-Sur-Rhône. Inspired by the 18th Century, the décor is a subtle blend of tradition and modernity, where comfort meets pleasure and relaxation. Across the Rhône river from the famous village of Tain l’Hérmitage, Tournon-sur-Rhône is nestled between the world-famous Hérmitage and Saint-Joseph vineyards. The warm welcome provided by the hotel’s multi-lingual reception team will instantly make you feel at home, and the bar is the perfect setting for wine tasting. Running down the slope from the property, the hotel gardens are conducive to contemplation and relaxation, and the view overlooking Hérmitage Hill is spectacular. 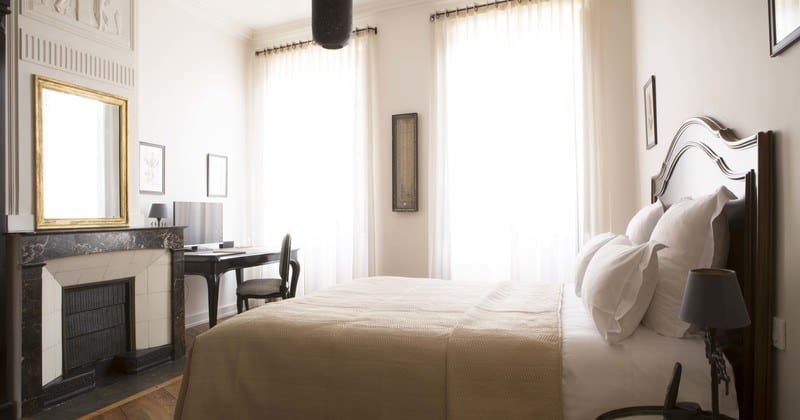 Each of the spacious rooms are equipped with a double or twin beds, a flat-screen TV with satellite channels, complimentary WIFI, a desk, a direct-line telephone, air-conditioning, heating and en-suite facilities including a bathtub and/or shower, toiletries, slippers and a hair-dryer.